What will likely be the worst news of Miami’s season surfaced this week when Jose Fernandez underwent an MRI that revealed he has a “significant” tear in his ulnar collateral ligament (UCL), which will require season-ending surgery. Fernandez will undergo Tommy John surgery in the near future, and the timetable for recovery is 12-18 months. 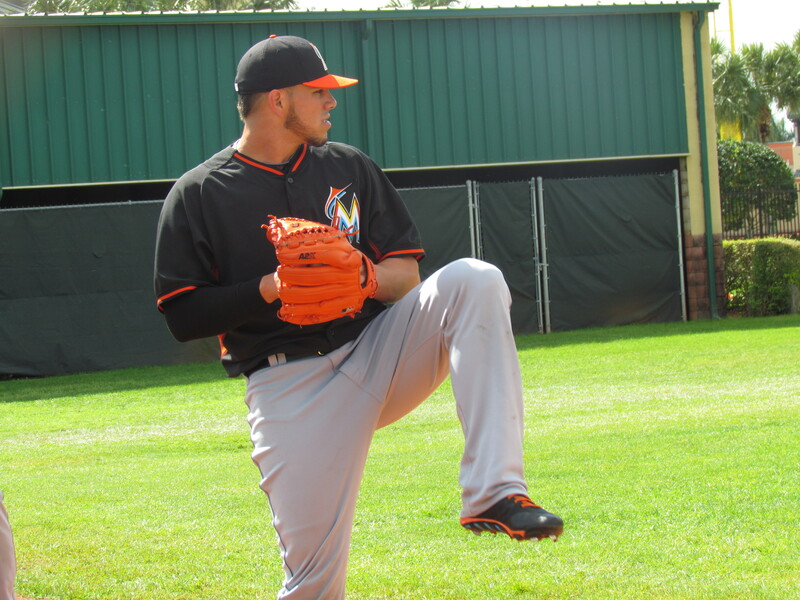 Fernandez is 21 years-old and made his major league debut early last season. He is the most electrifying young pitcher in the game, and won the 2013 NL Rookie of the Year award. He has never lost at home and currently leads the majors with 70 strikeouts this season. The loss of Fernandez for the year is devastating, and puts a major damper on the Marlins’ potential playoff run. But the sad truth is that most hard-throwing pitchers nowadays are having to undergo the procedure at some point in their careers. Most notably, fellow NL East aces Stephen Strasburg (Washington) and Matt Harvey (New York Mets) have had Tommy John surgery following their first seasons in the big leagues. Strasburg missed the entire 2011 season and made his comeback the following year. Harvey had the procedure after last season and is currently recovering. The Marlins were in first place for a day before they dropped three straight games in San Diego and two in Los Angeles. The NL East is tight this year, and the absence of Fernandez will likely diminish Miami’s chances at the postseason. Anthony DeSclafani made his major league debut last night, taking Fernandez’s rotation spot. He earned the win as Miami’s offense exploded for 13 runs. DeSclafani struck out seven and added two RBIs at the plate in his memorable night. 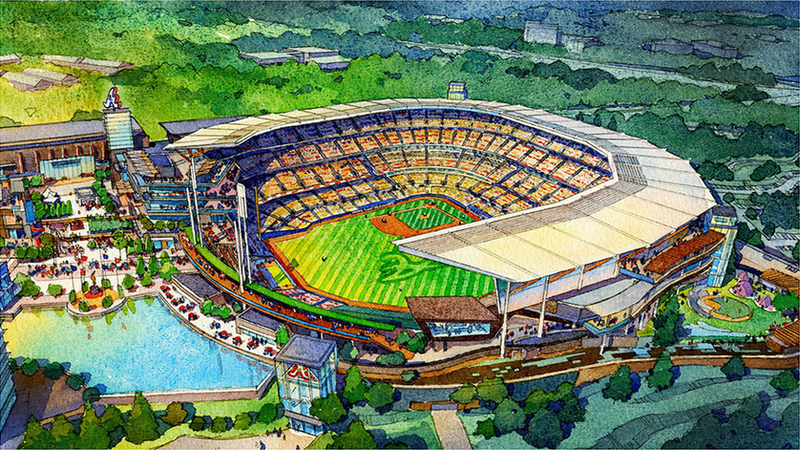 The Braves released the first renderings of their new stadium yesterday. Advocating its fan-friendliness, HomeoftheBraves.com explains that the plaza surrounding the new park will be bustling year round, hosting many non-baseball events. 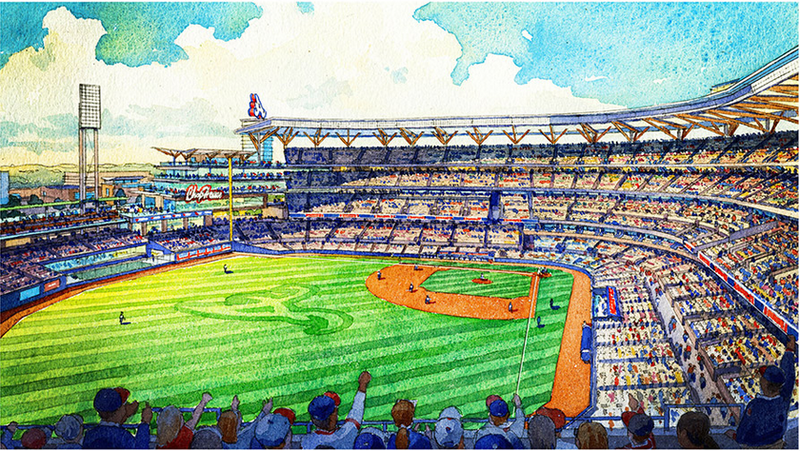 The drawings show a few notable features including the fact that the park will be situated near some body of water, which looks to be a small, artificial pond situated just beyond the right-center field seats. The Chop House, a popular eatery at Turner Field, will reappear at the new park in the form of an indoor-outdoor seating restaurant overlooking right field. The roof at the new park will be 90 feet wide, three times larger than the one at Turner. 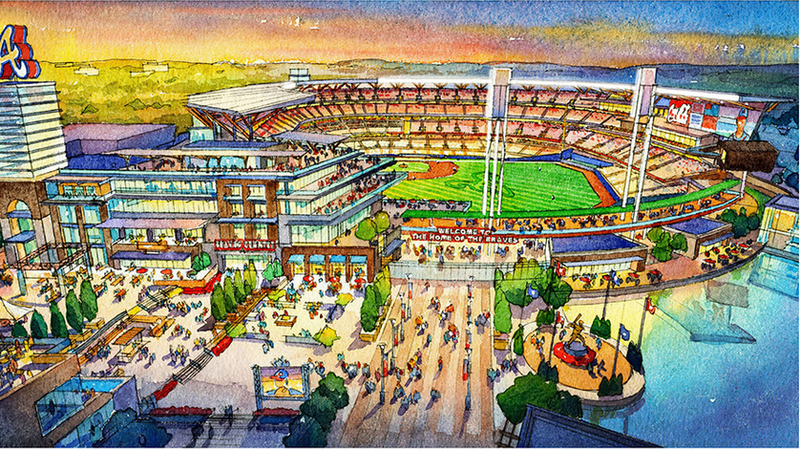 Conveniently, the large cross-aisle on the infield seating portion at the Braves’ current stadium will also transition to the new park. However, it looks as though the lower seating bowl will be significantly narrower than the one at Turner Field. The second deck, which will likely be some sort of club level, looks large and like good foul ball territory. In a season where the winner of the NL East looks like it will be the least inconsistent team, the Nationals are plagued by various injuries that will certainly not help the club shake its inconsistent trend from 2013. Bryce Harper is out until July as he recovers from thumb surgery, and Ryan Zimmerman has been sidelined for the last four weeks with a thumb fracture of his own. Doug Fister and Wilson Ramos have recently returned from the DL, but appear nowhere near midseason form. Fister has given up six earned runs in just over 11 innings pitched, and batters are hitting nearly .300 against him. 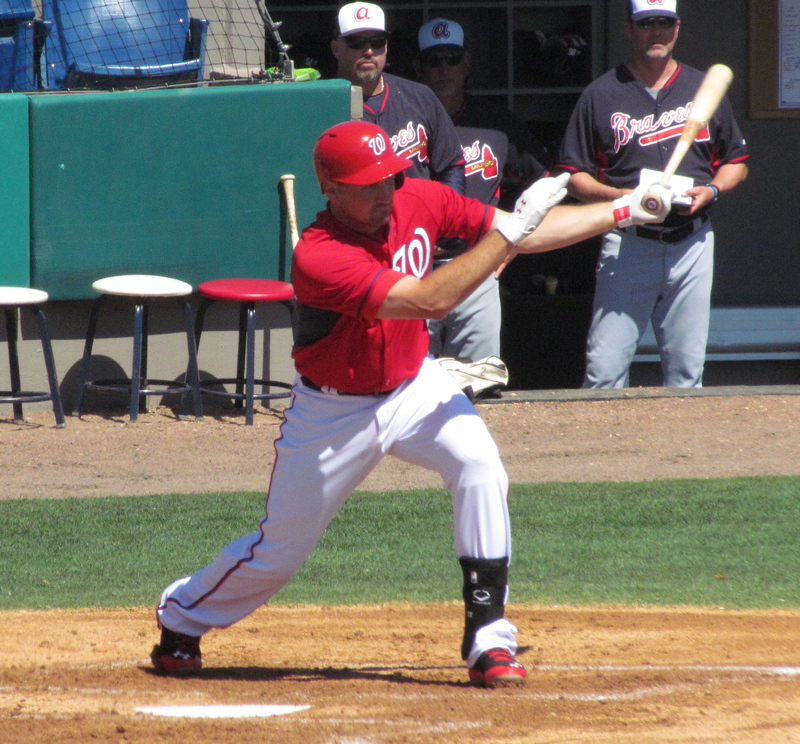 Ramos, meanwhile, has played in six games this year but is hitting well below the Mendoza line–.158 to be exact. Once Washington is completely recovered, granted they avoid any more blows before their starters return to form, they look to be a real threat in the division, and may be the only team viable to unseat the Braves as the reigning division champions. For D.C.’s sake though, let’s hope they don’t fall out of the race before it’s too late. Atlanta currently leads the Nats by 1.5 games, and the Fish are just half a game behind Washington.